The Microsoft News app is said to go through more than 100,000 unique articles daily for understanding the topic type, category, opinion content and potential popularity before it's sent to the editors. 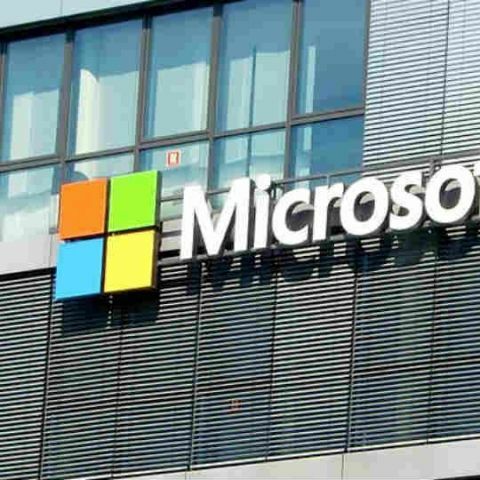 Joining the likes of Google and Apple, Microsoft has launched Microsoft News -- a news engine that curates articles from across the web and delivers them to the users' Microsoft feed, the media reported. The newly redesigned app for iOS and Android platforms would also power news on "Microsoft Edge", the News app in Windows 10, Skype, Xbox and Outlook.com. "Microsoft has been curating news since MSN launched in 1995, but 23 years later journalism and the way we consume news have changed," CNET reported on Thursday. The app essentially organises stories into the popular format of thumbnail images along with headlines, easy to scroll through and select for the full article. "It uses artificial intelligence (AI), human editors and publishing partnerships to find stories from over 3,000 publications. It's available across the world and in 28 different languages," the report added. Microsoft News also comes with an option of light and dark theme which can be changed depending on which is more comfortable to read, with dark mode often the preferred choice for evenings. The tech giant's AI reportedly scans through over 100,000 unique pieces of content that are sent daily, in order to understand the topic type, category, opinion content and potential popularity, before it makes its way to the editors. The editors then curate the top stories from the best sources which algorithms would then pair up with appropriate photos to complete the story.